What a beautiful project! The yarn is lovely, I'm really drawn to the colours. I hate blocking too, but then it does make all the difference, I can't stand things which slow up the progress, but then without it I guess things wouldn't be properly finished. Your scarf is beautiful! I bet it's as soft as can be too. Lovely scarf - the yarn really shines! 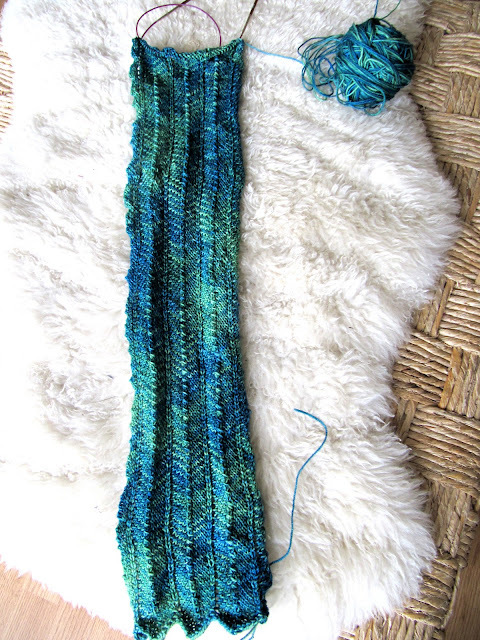 If you have blocking wires, blocking should be a cinch! That scarf is beautiful, the colours are so pretty. I'm thinking about some Easter projects, I can't get much beyond Easter Eggs at the moment. 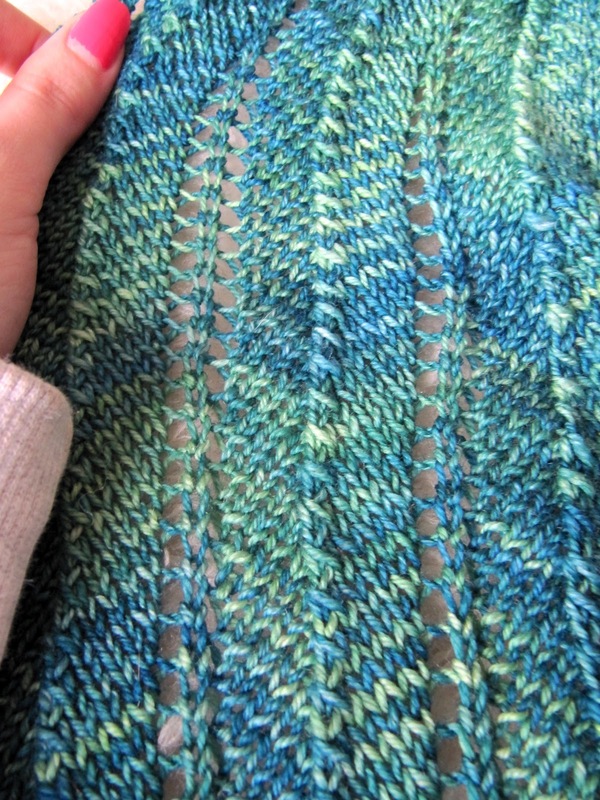 Awesome color and pattern, but with needles that small and sock yarn...yikes I can see it would grow slowly. Think how soft it will be though when you're finished. I love your WIP - such beautiful colours! the color is so pretty! I might be able to link up with you Sunday, I'm close to being finished something!